The demise of Berkline came as a big surprise to many in the industry, the details of which are included in an earlier post in this blog. 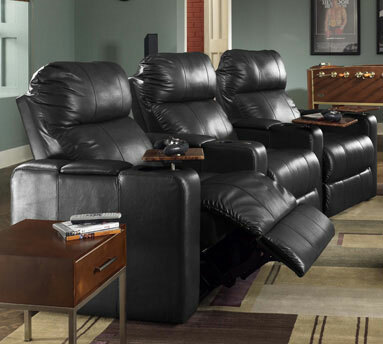 Berkline represented the lion's share of the home theater seating furniture sold in the US market, with Palliser coming in close behind them. The big question on everyone's mind was who will step up to the plate and challenge the space in Berkline's absence? Lane Furniture Company appears to have taken that challenge and by all accounts is right on track to make a dent in this space. Key Berkline models that offered features customers admired have been used in creating some exciting new Lane models at compelling price points - similar to those offered by Berkline. Lane also strategically hired some of the top Berkline home theater staff in an effort to make an investment and concerted push into the industry. The summer Las Vegas furniture market will be used to introduce at least 8-10 new Lane home theater models. Having worked extensively with Lane over the past few years, we can confirm that these models are exciting and will bring something fresh to the market. Lane is the largest reclining furniture brand in the world and operates out of St Louis and Mississippi, shipping custom made furniture in 3-4 weeks from order date. disabled because it helps them do the things that they want and makes their lives easier and bearable.